This moccasin is built with the same shoe last and sole as Roamer, yet has it's own unique stylish cutout pattern. 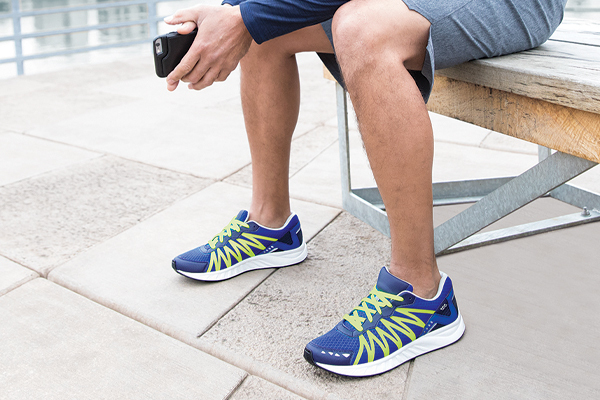 TRIPAD® Technology, a shock-absorbing sole, padded lining and EZ Strap offer superb comfort and adjustability that can be changed throughout the day as needed. Heel Height: 1.125". This item features a removable footbed. A roomy, extra-cushioned fit for the highest level of comfort that is wide enough to stay very comfortable across the ball of the foot and offers plenty of room in the toe area so there’s no cramping. The heel should be snug and not slip while walking. Available in a variety of sizes and widths. Genuine Leather Upper: Soft leather is stretched over an exclusive SAS last that follows the natural shape of the foot and gives plenty of toe room for movement and comfort. Soft padded lining adds extra comfort and prevents rubbing or biting. SAS EZ Strap™: An adjustable strap makes changing your fit throughout the day easy. Slipping on and off is a breeze with this system. SAS CoolStep™ Foot Bed: This removable foot bed is designed to keep your foot dry and comfortable all day long. The anti-friction top cover inhibits heat while providing a cooler surface underfoot. The bottom layer wicks away moisture and cushions each step. SAS CoolStep™ foot beds are antibacterial and washable for a healthy foot environment.